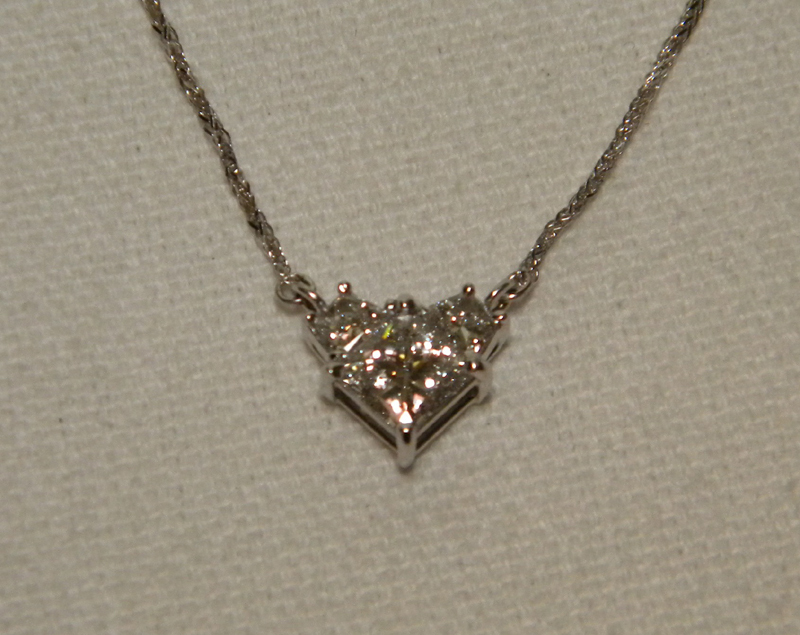 The wish: To bring a clientâ€™s design to life using the diamonds from her first engagement ring and creating the ring and pendant of her dreams. 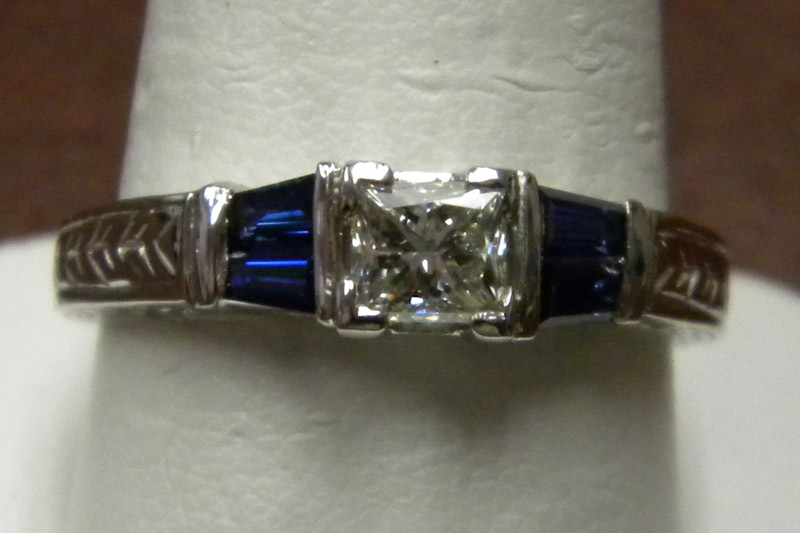 The added bonus: Alter the original ring setting to accept a smaller center princess cut and adding blue sapphires where the side diamonds were. 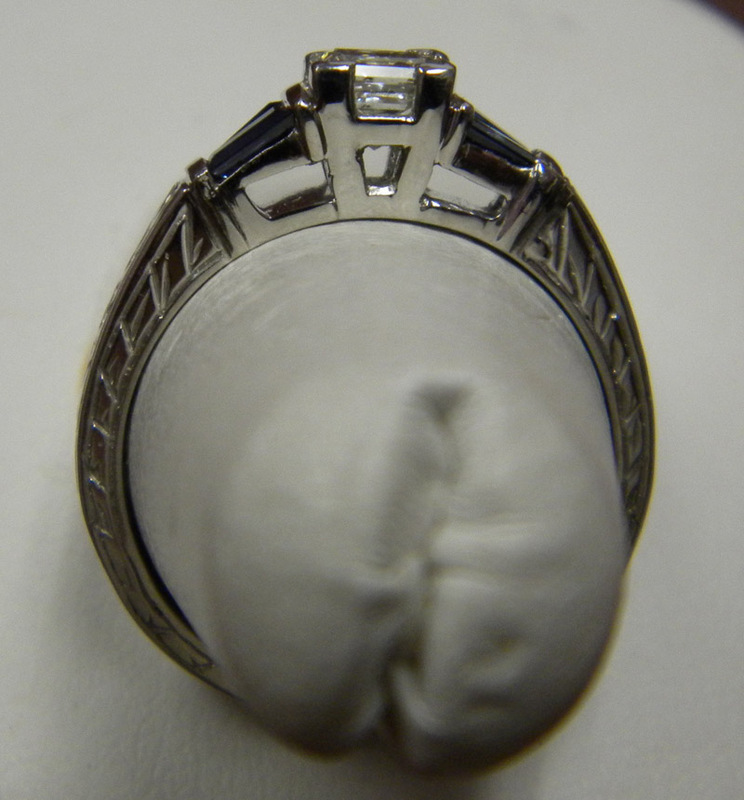 -Pendant: This lovely lady drew a sketch using a large princess cut as the center and positioning the trapezoid side diamonds to show off the shape of the center. A simple white gold chain, attached with jump rings on the side, completes this simple and elegant design that can be worn every day. 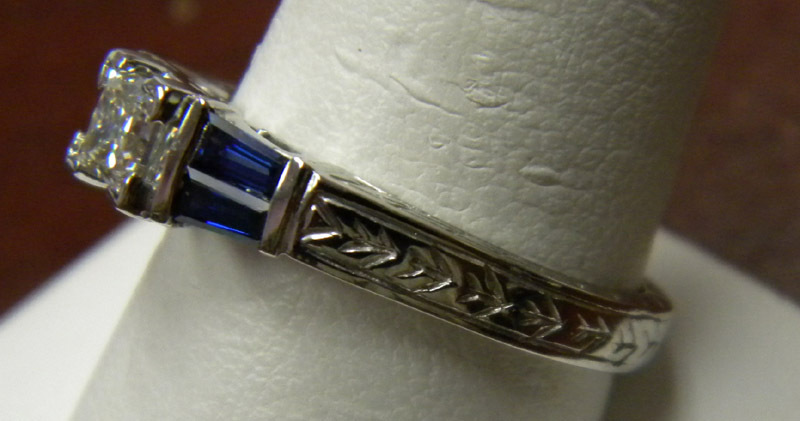 -Ring: Using the original ring mounting, our incredible custom designer adjusted the size of the center head to take a smaller princess cut diamond and adjusted the side heads to accept baguette cut blue sapphires. 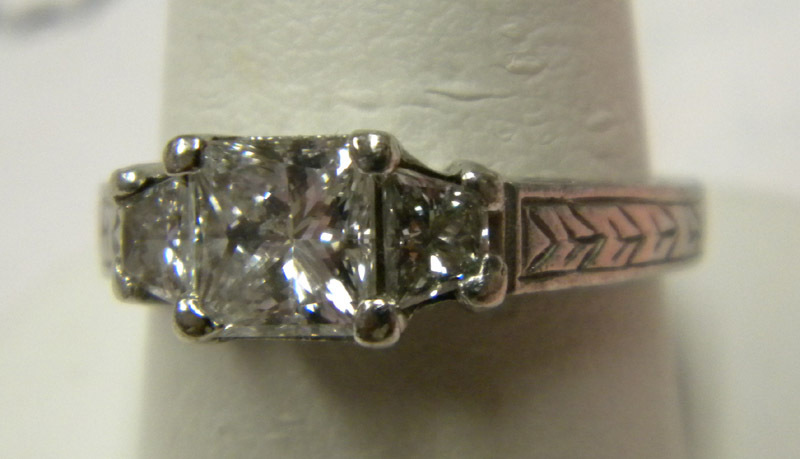 By adding two baguette sapphires per side, he mimicked the shape of the original trapezoid stones. 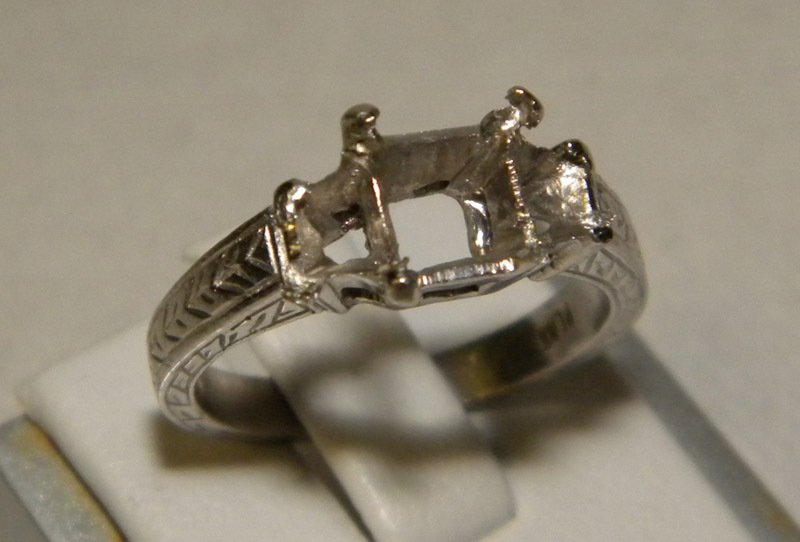 The result is a beautiful right handed ring filled with memories.